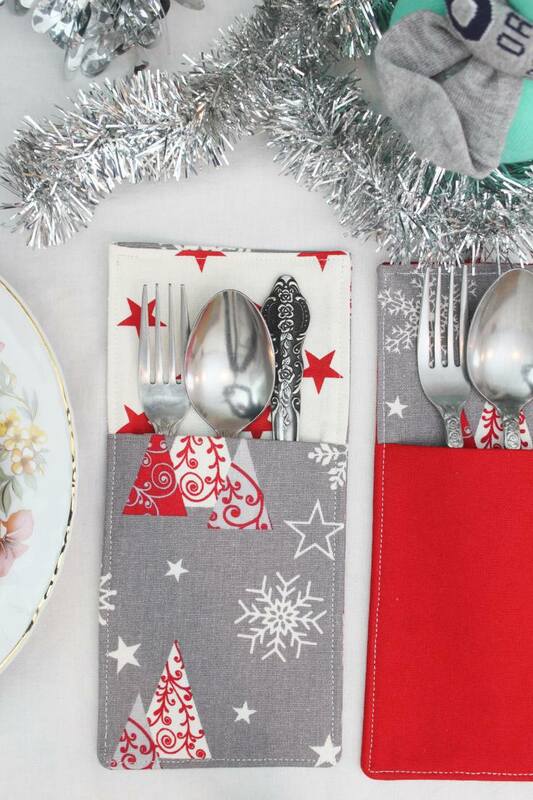 Dress up your pretty holiday cutlery even more with these adorable pockets. 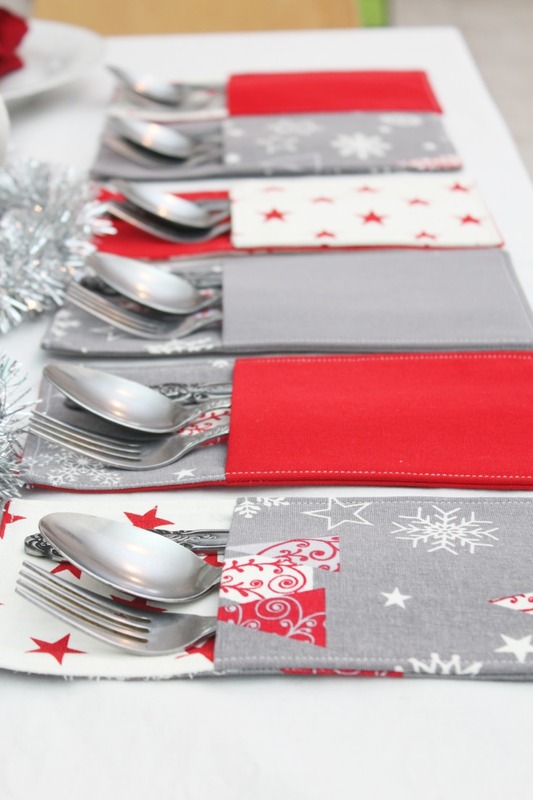 Making a DIY cutlery holder with fabric could not get any easier and these Christmas cutlery holders definitely have to be on your table! 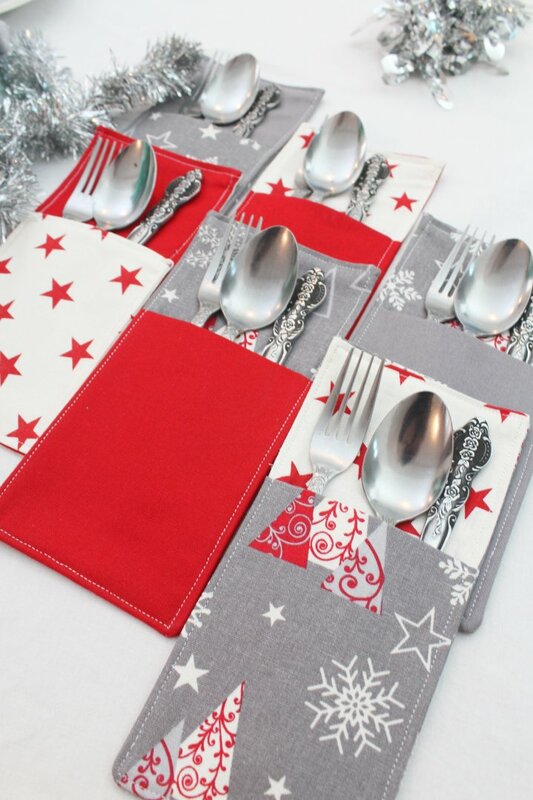 I absolutely love how these gorgeous Christmas cutlery holders turned out, I’m so smitten! 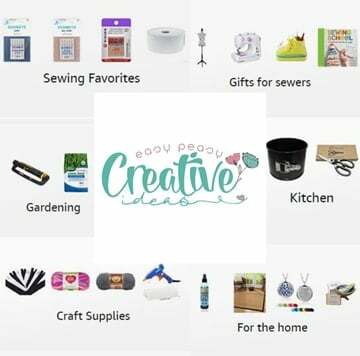 Easy sewing tutorials like this DIY cutlery holder make sewing for home and kitchen such an easy peasy and super enjoyable journey! 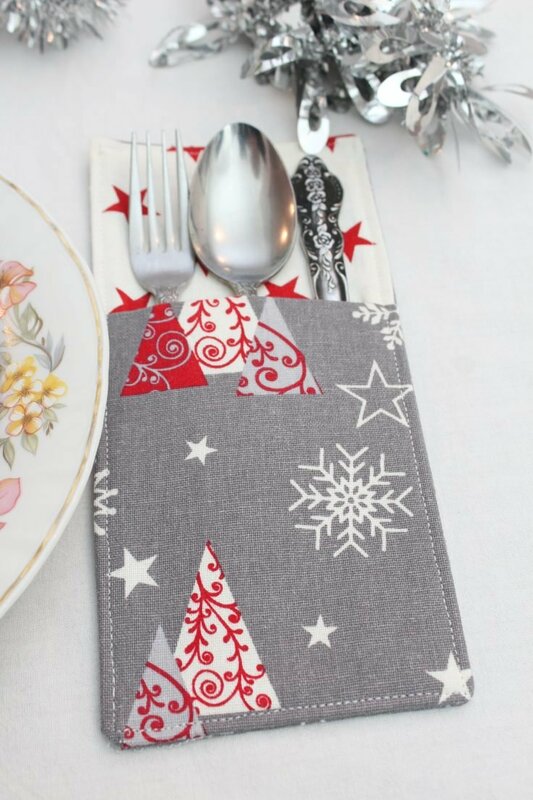 For my DIY cutlery holder tutorial I made my lovely cutlery pockets in Christmas themed fabric but no matter the occasion, a pretty cutlery pouch like this is always a great addition to your table setting. 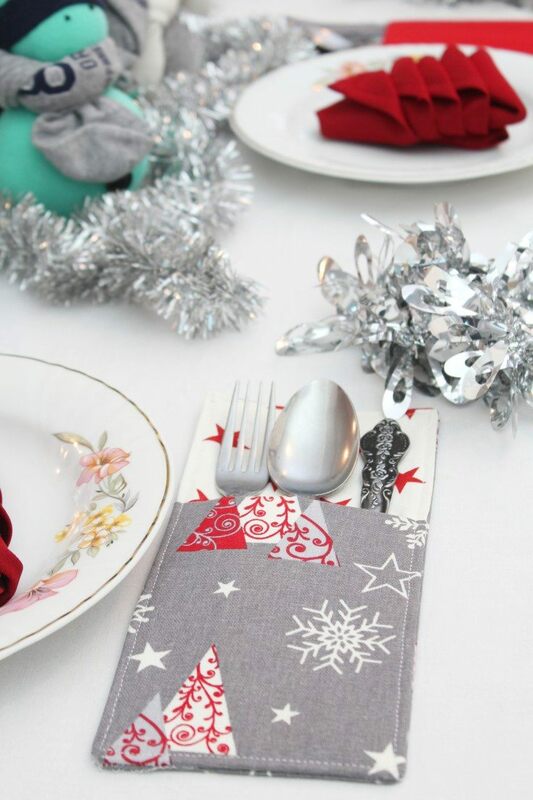 Making a fabric cutlery holder for each of your table guests will be such a breeze and fill your heart with joy, you’ll want to replicate the feeling for every other special event in the future! 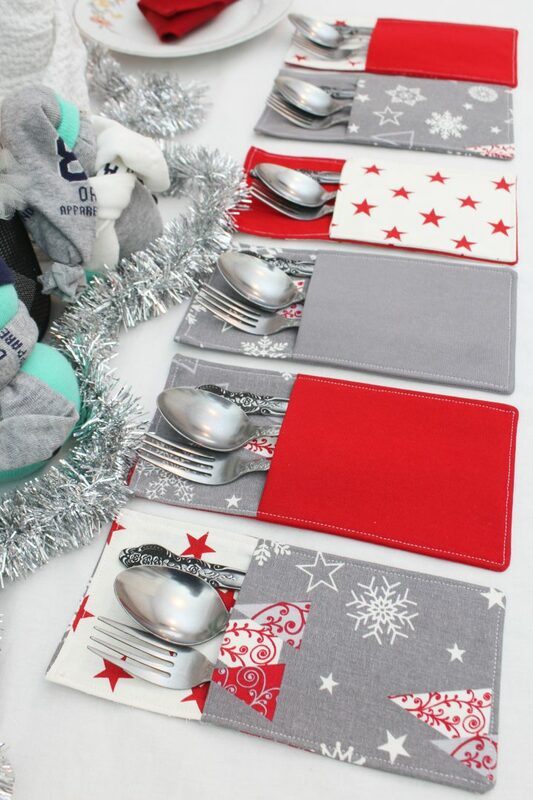 Learning how to sew a cutlery pocket is a no brainer, really! This is the perfect project for beginners but look so professional, posh and stylish, no one will ever suspect these are handmade and you are the one who made them! 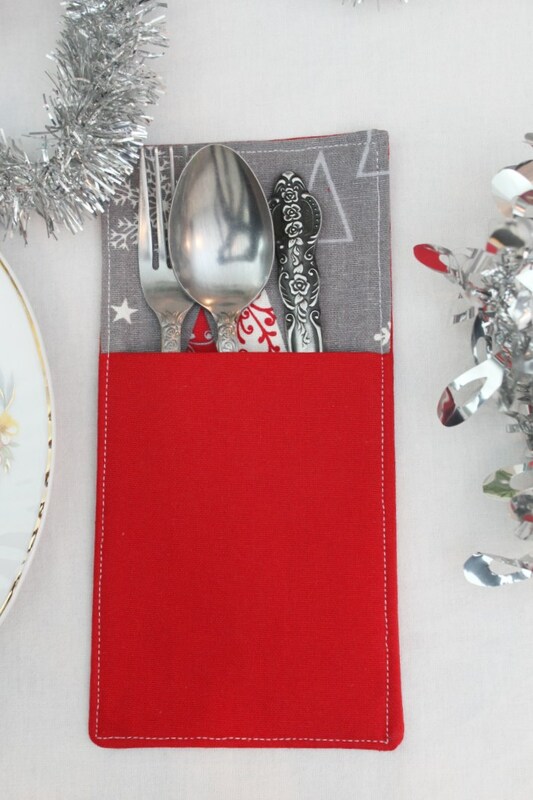 My DIY cutlery holder tutorial will show you two simple methods for sewing this adorable and useful cutlery pockets so pick the one that suits your skills better. After sewing the photos for my DIY cutlery holder tutorial I realized there’s a third method which seems even easier than the other two. I’ll highlight that too but please be advise, there are no pictures for a visual guide. 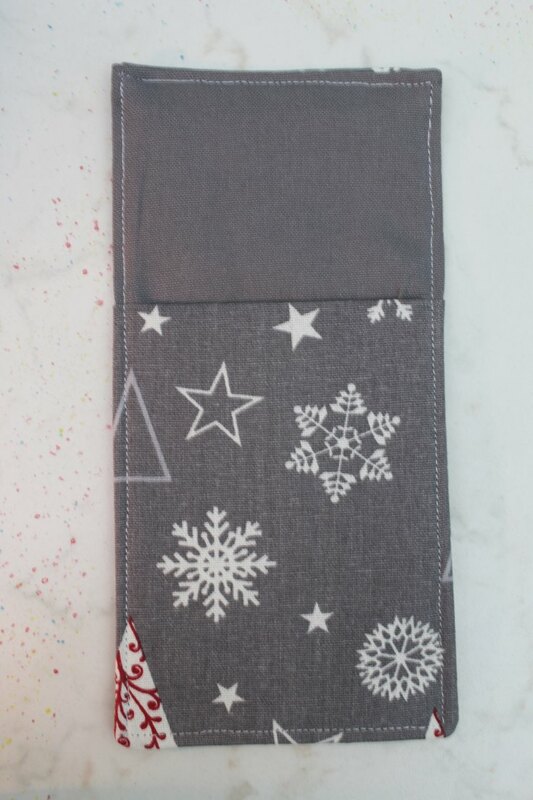 Also for this project I used 100% cotton fabric which I find the easiest and fastest to sew with and does not pose any problems even in thick layers. Which brings me to the next tip: at some point the fabric will become thicker and a regular size needle might break when trying to sew over those areas. So better sew with a jeans/canvas needle from the very start. Just make sure its not too small or large for your particular type of fabric. Also please adjust the type of thread to the needle you use. I used and recommend cotton thread, synthetic or silk thread is a better fit to thinner fabrics. 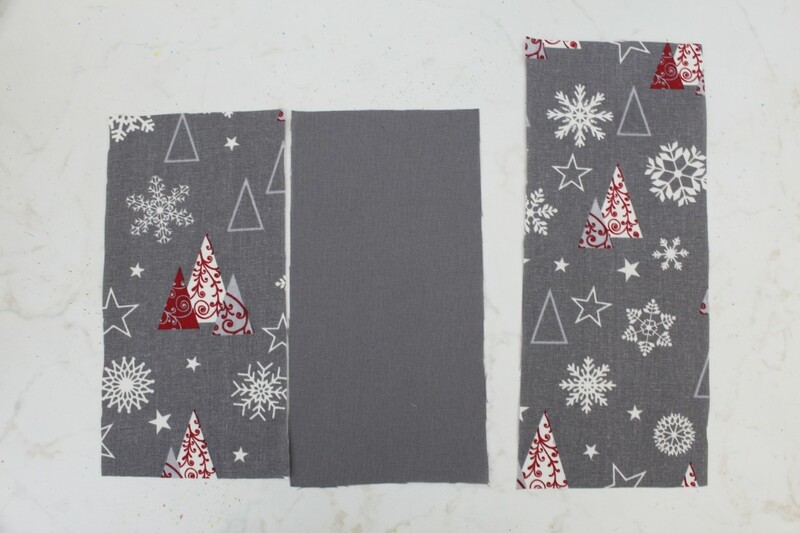 Another note you might find useful when making this tutorial: if using fabric with a certain print (as I used the trees fabric) be careful when cutting the fabric, particularly when cutting the front fabric. 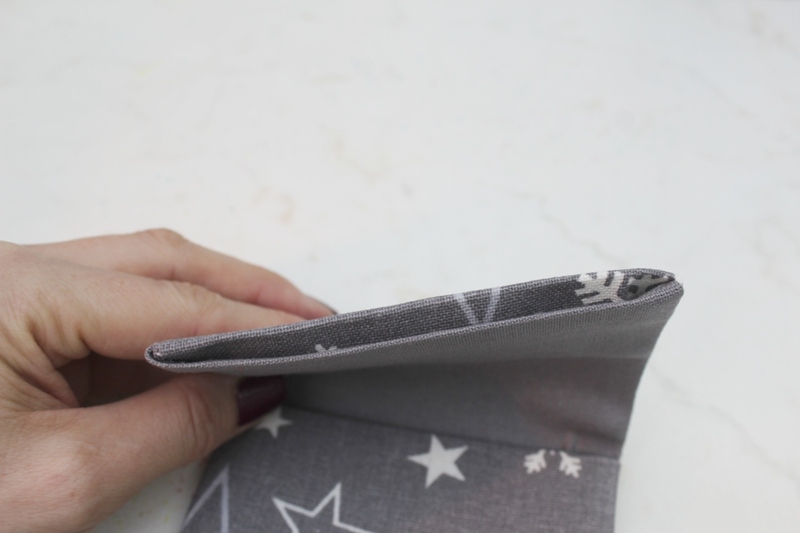 This strip will need to be folded and if you cut the print wrong, it will show upside down after sewing your pieces together. Take some time to figure out how to cut the pattern so that is faces the right way in the finished product. While most cutlery comes on a pretty standard size, if you find that yours is not the typical kind, you can always adjust the measurements I made in my DIY cutlery holder tutorial. Just make sure you don’t add or reduce the measurements too much. 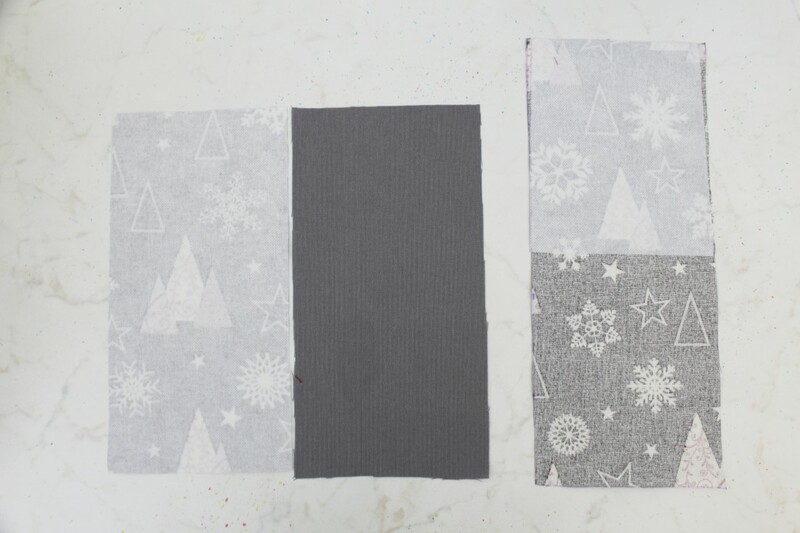 Cut your fabric and interfacing strips as indicated above in the materials section. Sandwich the folded strip in between the other 2 strips as follows: back strip right side up, top with folded front strip fold side upwards, then top with inside strip right side down. 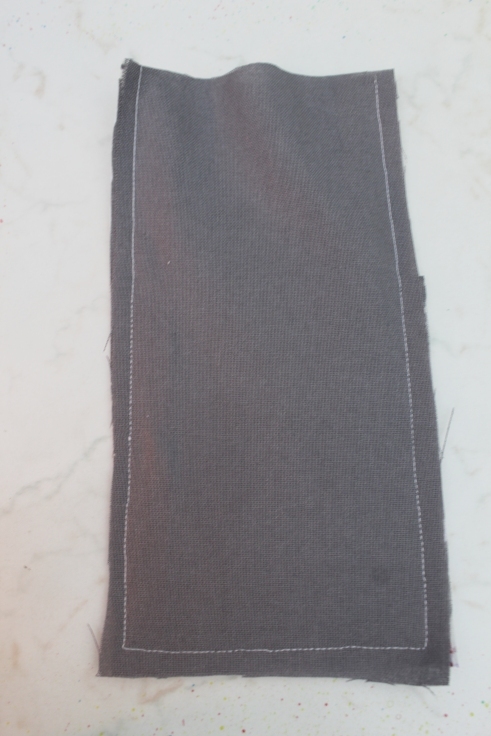 Pin the sides and the bottom then sew down with 1/4″ allowance. Clip the corners to reduce bulkiness when turning fabric right side out. Turn the cutlery pocket right side out. Push the corners out with a blunt tool. 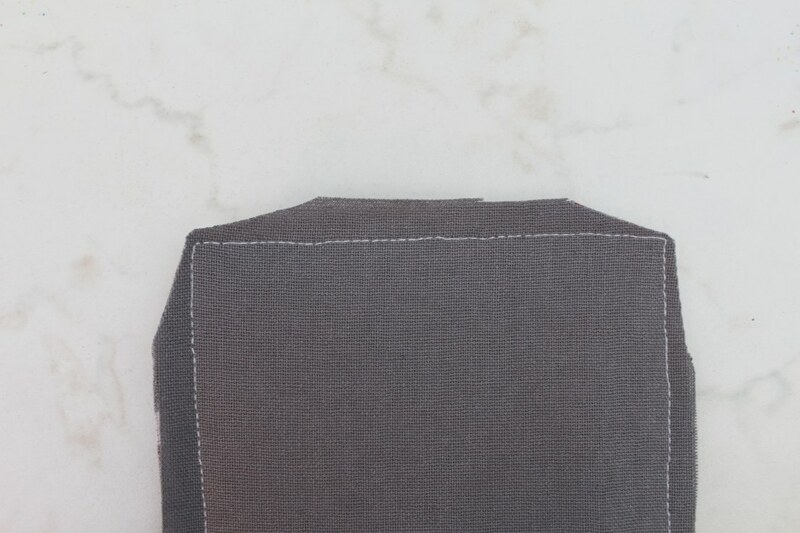 Fold the raw top inside about 1/4″ and press then press the whole pocket. 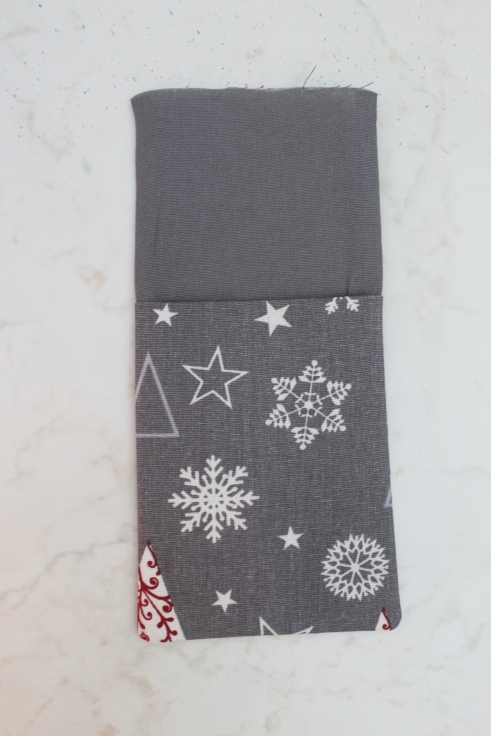 Sew down all around the pocket with a 1/8″ allowance! Instead of cutting 3 strips of different sizes, cut 2 strips of 16″ x 5″. 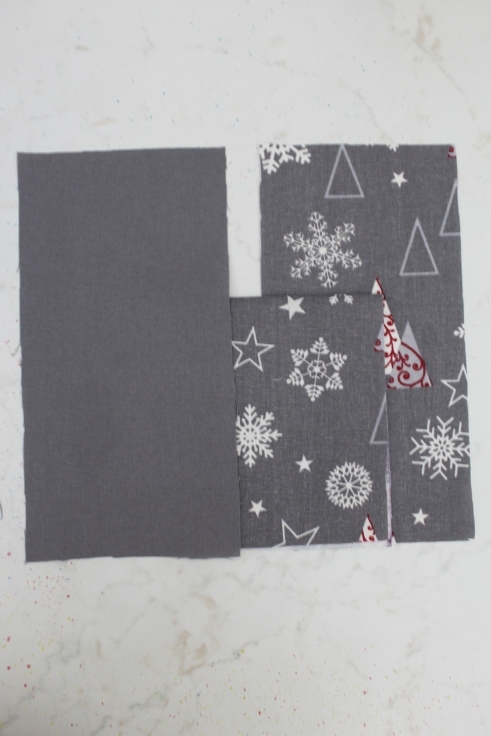 Place them right sides together, pin the sides and bottom and sew down with 1/4″ allowance. Push corners out with the blunt tool and give the strips a good press. And you’re done! 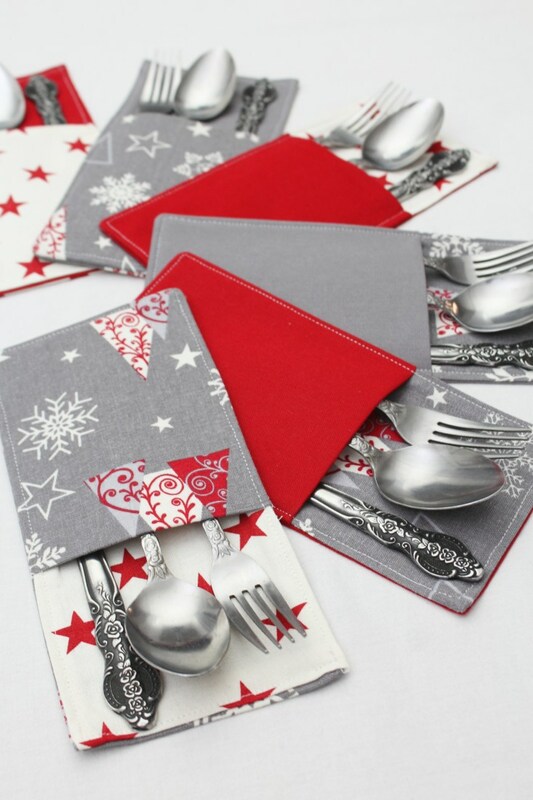 All you need to do now is fill your pretty cutlery pockets with your pretty silverware and display your beautiful work on the table! 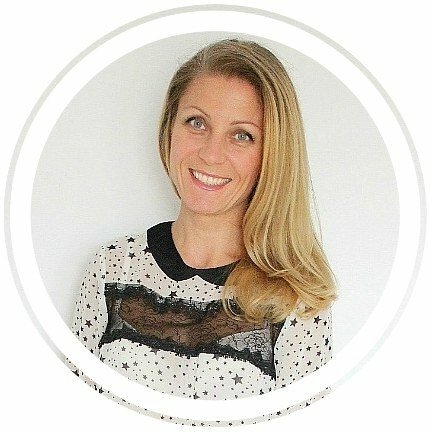 You’ll simply wow your guests! If you liked this tutorial, let me know in the comments below and don’t forget to rate it! Wow….love this idea. 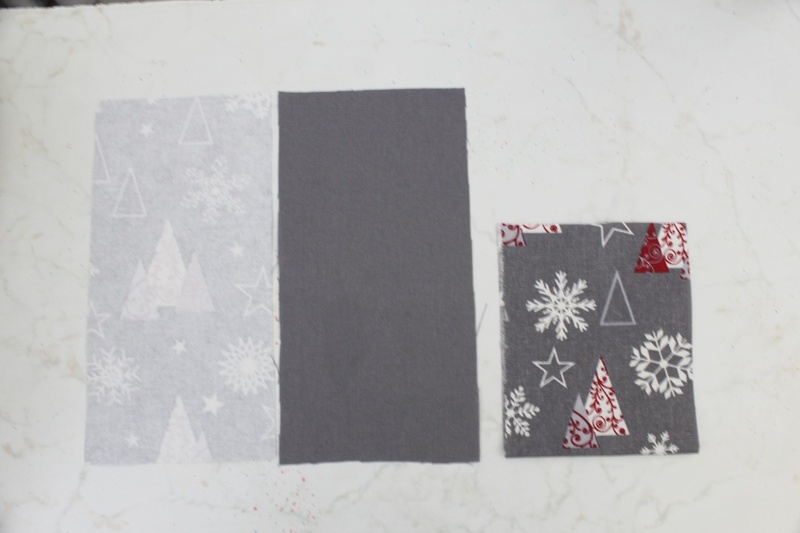 Great tutorial and “sew” easy!